This little crawling skeleton will be the hit of the Halloween party! Just set him on the floor and let him loose. He will crawl all over scaring your guests! There is a light-activated hole in the nose so when something appears in front of the hole, he will come to life! 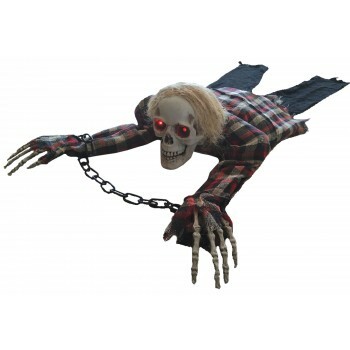 The skeleton's eyes will light up and he will drag himself forward making scary sounds. 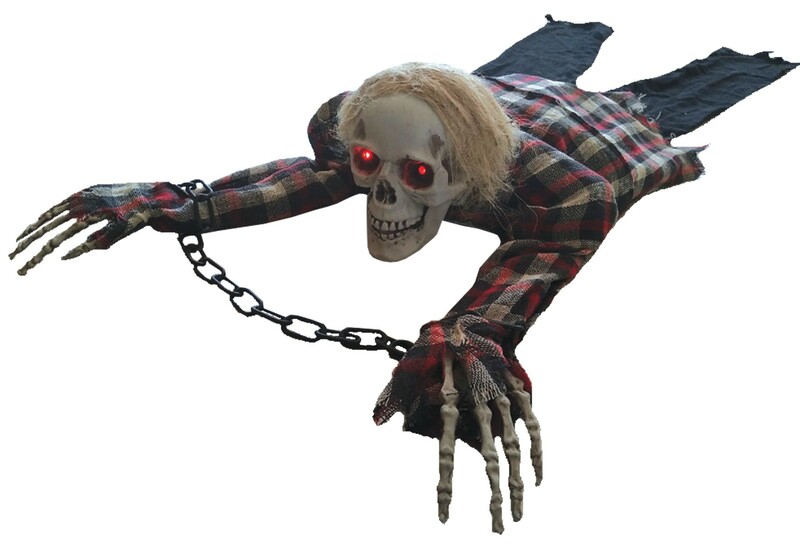 The skeleton is dressed in a plaid tattered shirt with black pants, stringy hair and has chains around his wrist. Very entertaining Halloween decoration! 60 inches long. Requires 3 AA batteries, not included.